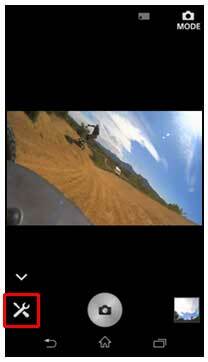 You can send (copy) images from the Action Cam to the smartphone/tablet. The screen design may be different depending on your smartphone/tablet. Tap (Settings), then [See In-Camera Images]. 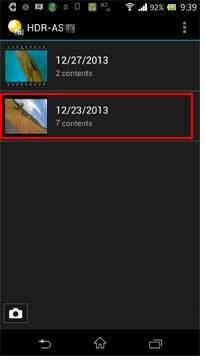 Select the date of the images, select the images to be copied to the smartphone/tablet, then tap [Copy]. iPhone/iPad does not have a [Share] button. To return to the remote control display, tap at the lower left corner. 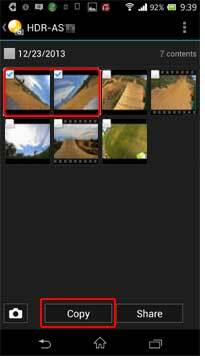 Movies cannot be sent to some of the iPhones depending on the recording mode. See <here> for details. Why has this not helped? I needed a more detailed article. The article was hard to follow.